The new Falcon 10 panel. You will see in the other photos the work that it took to get to the final configuration. Our Falcon 10 was worked on by Neil Aviation just up the road from our San Diego office. 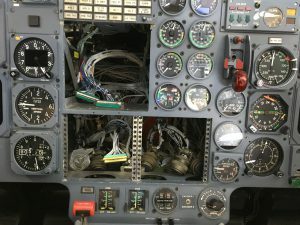 deadline —without ADS-B our old jet would become useless. And the FAA insists the deadline will not change. The future of the ATC system will be based on transponders that broadcast the aircraft’s identification, position, altitude, velocity and more every second or so. It’s called ADS-B (Automatic Dependent Surveillance—Broadcast) because it’s based on automatic transponders that are dependent on a WAAS GPS for their data, enabling surveillance by broadcasting their information without being interrogated. 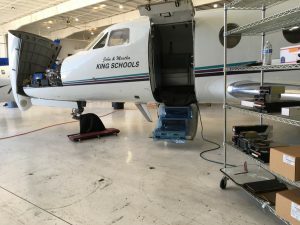 Those of us who have been maintaining aircraft for a while know that keeping any airplane legal—particularly a jet—is often neither easy nor cheap. In addition to all the required inspections you have to periodically meet government mandates such as for ADS-B. Under the “hood” and the start of our installation. The ADS-B mandate is only the latest. In our airplane-ownership lives we’ve had to meet mandates requiring a transponder, and then altitude reporting. Plus, because we have been so financially foolish as to fly jets, we’ve had to meet hundreds of thousands of dollars of mandates requiring such things as a cockpit voice recorder (CVR), a terrain awareness and warning system (TAWS), and reduced vertical separation minimums (RVSM) capability. These mandates have often been a step in the march of technology, bringing benefits beyond just being legal. Transponders with mode C have enabled our air traffic control system to provide far better service to all comers, and in particular RVSM has virtually doubled the airspace available at 29,000 feet and above. This photos shows the scope of what was taken out. In the case of ADS-B, the FAA has gone out of their way to build benefits into the program to sweeten the deal. If you pay extra to equip for ADS-B “In” (or have a portable ADS-B receiver) you can receive subscription-free weather and traffic displays. Plus, depending on the system you get, you can also have the information streamed to an iPad or other tablet. What prompted us to start working on getting the installation done now was not just a scramble to meet the impending deadline. It was mostly that we wanted the things that would come with the WAAS GPS sooner rather than later. Highest on the list was the ability to conduct an LPV approach. 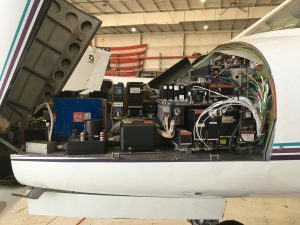 We had begun to believe that when an airport has both an LPV approach and an ILS, airport operators aren’t as quick about repairing an out-of-service ILS. We were beginning to see the handwriting on the wall. If all we had for precision approach capability was an ILS, there would be times when we wouldn’t be able to land at our destination. You see here our old equipment that has been put on the shelf…permanently. Still, for a while we weren’t really in a hurry. We hate taking our airplane down even for required maintenance, much less for an optional installation. Plus, we weren’t looking forward to having to learn a new avionics system. Also, ADS-B solutions have been rapidly getting cheaper and simpler, including one solution that involves replacing a position light with a new LED position light and an entire ADS-B solution for under $2,000. Because we fly an aircraft that is certificated under Part 25 as a transport category aircraft, and we fly above 18,000 feet, the lower-cost solutions were not available to us. When we started researching solutions for our airplane, our first quote was for more than $150,000. It was a really beautiful dual Garmin GTN 750 installation. But in addition to the cost and a big delay getting started, what really killed the deal is that that the airplane would be down for at least a month and a half—and probably much longer. That would definitely send us into withdrawal. We decided to simplify our lives. As we got closer to doing the deal, we realized that it would be a lot more convenient if we worked with somebody local. We chose Neal Aviation on Gillespie Field, the airport where we have our routine maintenance done. Plus, instead of a dual Garmin 750 installation, we decided that since we already had a back-up GPS, we could certainly get by with only one Garmin. Also, we decided not to disturb our current audio panel and VHF avionics, and go with a Garmin GTN 725 which just has a GPS receiver. The installation would involve replacing our current non-WAAS GPS and our multifunction display (MFD) plus our old transponders with the Garmin 725 and two new Garmin transponders. 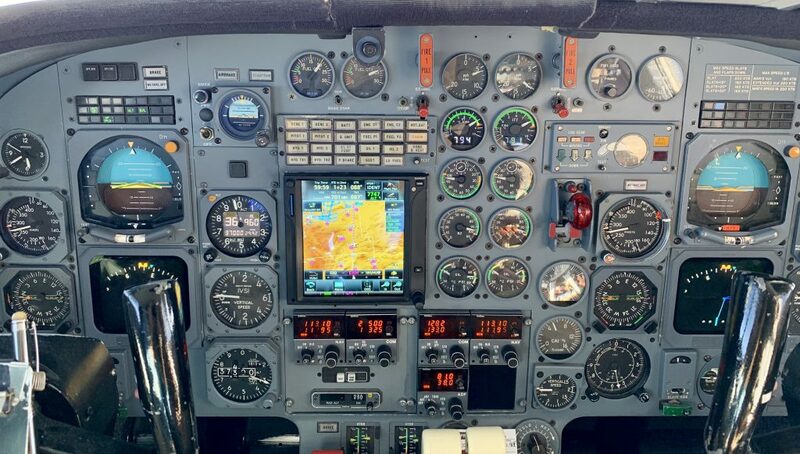 The GTN 725 comes with the new bells and whistles we had begun to covet, such as the ability to load routes using airway numbers instead of entering every waypoint by hand, and with more hardware, the ability to load flight plans directly from our iPads. And with yet another receiver we could still get the XM weather information we were used to with our previous system. This was going to be a lot cheaper than the luxurious dual 750 installation. The whole thing would be about $56,000. And the icing on the cake was that Neal Aviation said they could complete the installation in two weeks. Even though we considered the two weeks to be a very challenging goal, we had finally found a solution we were ready to move on. The FAA’s motivation for the mandate is that when a ground-based system gets changed to a space-based system it usually gets cheaper to operate and more capable. In this case, while radar installations can cost as much as $30 million, an ADS-B ground station can cost as little as $4 million. Plus, while a ground-based radar’s sweep rate is 3-15 seconds, ADS-B transponders transmit their data about once every second. The result is more efficient IFR spacing and routing. And there will now be coverage in previously non-radar airspace such as at ski-area airports and other mountainous areas. In spite of our original feeling that we weren’t in a rush to make the decision, it was time. Lurking in the background were all the warnings about the up-coming full shops and scheduling delays as the deadline approaches. More than anything else, we did not want to risk having to ground our airplane if we didn’t make the deadline. Now that John and I have decided to bite the bullet and get the installation done, we are especially eager to get the airplane back and start flying it again. We’ve downloaded the entire 400+ page manual for the GTN 725 and have begun our study. We are excitedly looking forward to learning how to use all the new things the 725 will do for us. Just curious on what ADS-B system is possibly available for under $2,000 as I will be needing to install a system in one of my helicopters. You should know that we do not carry hardware products Joe. We hope you find a good solution. 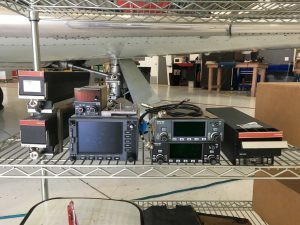 2020, about 20,000 ADS-B installations will need to be done per … ADS-B out is the new surveillance system that will supplement and in … for ADS-B out and in equipment, thanks to Section 221 of the FAA. Welcome to Australia. We have been mandated for years. We have 17 jets and 3 turbo props. We operate both domestic and international. Turbo props can stay below 29K. Not worth the upgrade costs. Apart from the install cost it takes around 4 to 6 months of approval as long as all install data/wiring diagrams/operator/maintenance docs etc are supplied. Hope it is quicker in the US. There are a lot of hidden problems as well. Need to do your research.